Alpinia conchigera, known locally as langkuas ranting, langkuas kechil or jerunang (Holttum, 1950), and commonly known as the Lesser Alpinia (Lim, 2016), belongs to the family Zingiberaceae. The Malayan Sun Bear or Beruang Matahari is scientifically known as Helarctos malayanus and belongs to the family Ursidae. Shorea hemsleyana is known by locals as cengal pasir daun besar or meranti daun besar. Goniothalamus with c. 16 species is one of the largest genera of the family Annonaceae (mempisang in Malay) recorded in Peninsular Malaysia. The tiger or Panthera tigris is the largest member in the family Felidacea. Tropidolaemus wagleri is a species of viper commonly known as Wagler’s Pit Viper or Temple Viper. In Malay, it is known as Ular Kapak Tokong. Pongo pygmaeus, more commonly known as orangutan, is a large arboreal animal that is native to the island of Borneo. The genus Maingaya is monotypic and was named after Alexander Caroll Maingay, the magistrate stationed in Melaka during the 1860s. Impatiens belongs to the balsam family, Balsaminaceae, commonly known as Touch-me-not or Jewel Weed. Exbucklandia populnea, known locally as gerok in Malay, was named for William Buckland (1784-1856), the renowned British geologist/palaeontologist (Veldkamp,1998). Grammatophyllum speciosum, commonly known as tiger orchid, is probably the largest orchid in South-East Asia. In Greek, ‘grammatus’ means letter and ‘phyllum’ means leaf. Hopea apiculata, known locally as resak melukut or giam melukut, belongs to the family Dipterocarpaceae. Anisoptera megistocarpa (Dipterocarpaceae) known locally as Mersawa merah, can be found on well-drained and undulating areas of lowland forests. The vernacular name for Hopea polyalthioides (Dipterocarpaceae), Giam rambai refers to drooping leaf-sprays. Dubbed as the ‘Malayan Cowslip’, Codonoboea malayana is one of the most beautiful native forest dicotyledonous herbs with its large nodding yellow flowers. Raspberry (Rubus idaeus) is well-known for its edible and delicious fruit. It belongs to the genus Rubus in the large family Rosaceae. Burmannia coelestis is a semi-mycoheterotrophic because it has small green leaves as well as having an association with fungi. Hydrocera triflora (L.) Wight & Arn. Hydrocera triflora belongs to family Balsaminaceae, the same family that the balsams (Impatiens) belong to. It is the only member of the genus Hydrocera. The Reticulated Python is the world’s longest snake as opposed to the anaconda which does not grow as long but attains greater girth. The cashew, Anacardium occidentale is native to Brazil but most people in Malaysia think it is Malaysian. 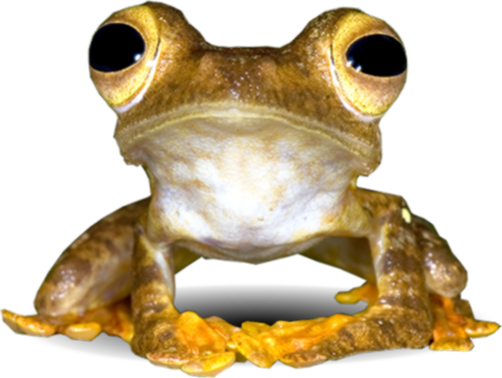 The Malayan Horned Frog or scientifically known as Megophrys nasuta is in the amphibian family of Megophryidae.